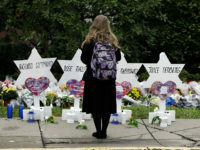 Pittsburgh imam Naeem Abdullah delivered anti-Jewish lectures and sermons at a local mosque and uploaded the videos to YouTube — even after the mass shooting at the Tree of Life Synagogue in the city last year, the Middle East Media Research Institute (MEMRI) reports. 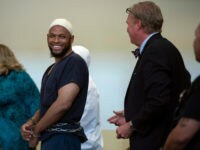 Prosecutors and defense attorneys filed dueling motions in Taos County, New Mexico on Friday over the fate of Siraj Wahhaj and the four other members of his Islamist cult, arrested at a compound where they kept 11 starving children and buried the corpse of Wahhaj’s kidnapped 3-year-old son. 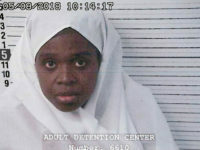 Jany Leveille, wife of Siraj Wahhaj and evidently the spiritual leader of his cult, was taken into custody by federal authorities on Tuesday just hours after a New Mexico judge controversially ordered all five members of the Muslim extremist group released on bond despite allegations of kidnapping, child abuse, and very likely killing a sick three-year-old child by withholding his medication. 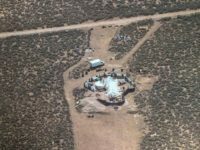 Siraj Wahhaj and the four other adults arrested at a filthy New Mexico compound where 11 starving children were held and one apparently died were released with bond on Monday. The decision stunned many observers of the case, given the clearly abusive treatment of the children, the outstanding warrant from Georgia against Wahhaj for kidnapping his own son, and the fact that children rescued from the camp told police they were being trained to conduct terrorist attacks on schools.